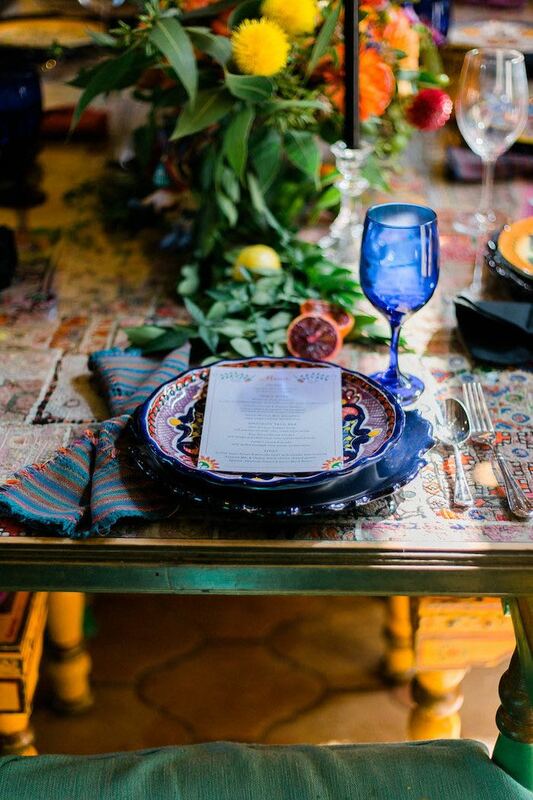 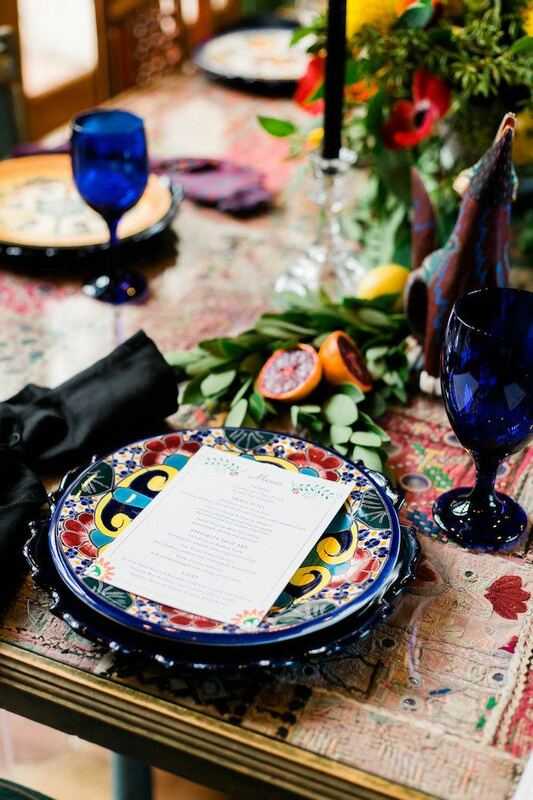 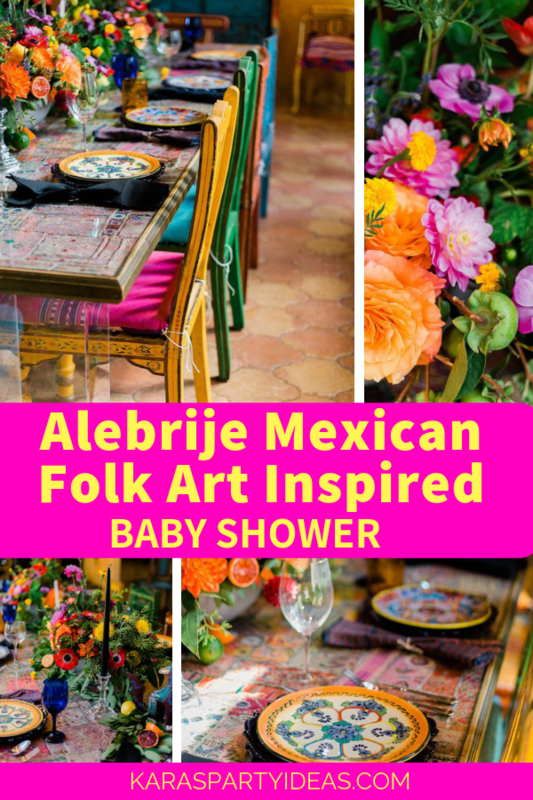 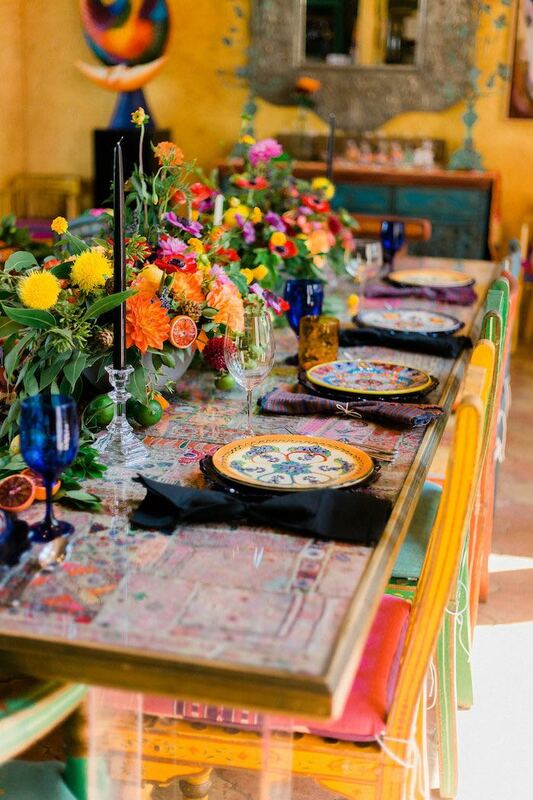 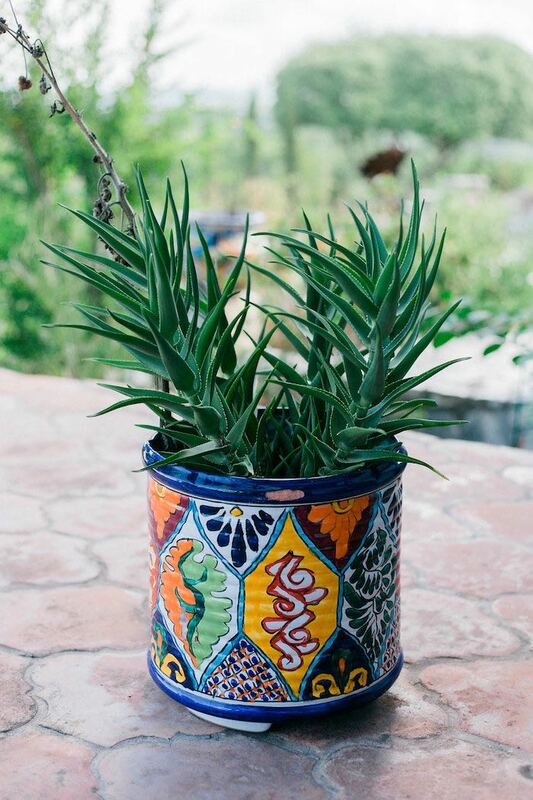 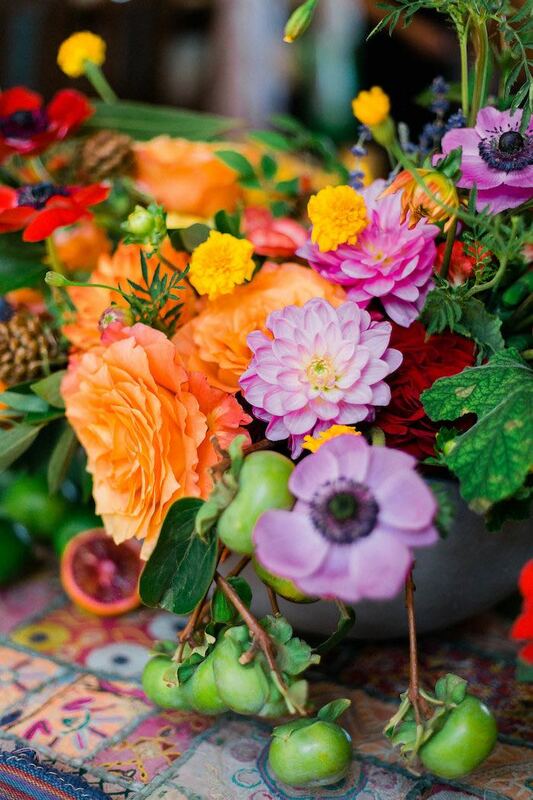 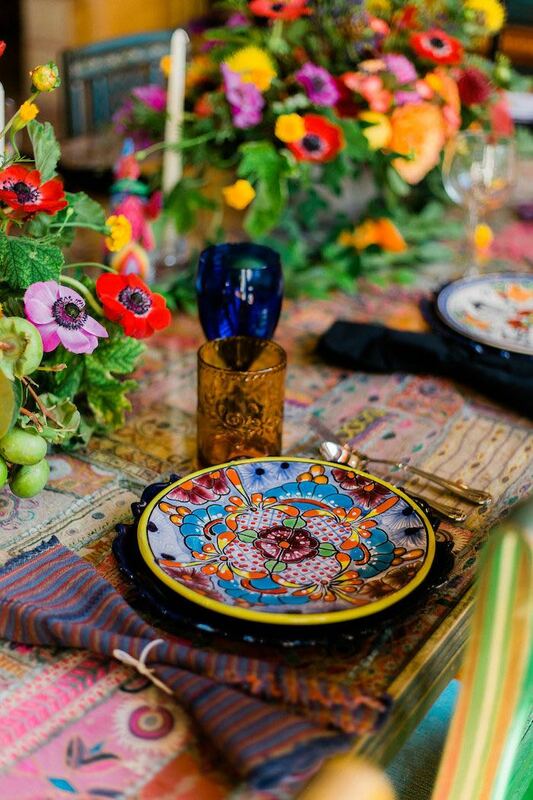 Such vibrant and stunning elements await in this Alebrije Mexican Folk Art Inspired Baby Shower by Reyna Caraveo of R.A.C. 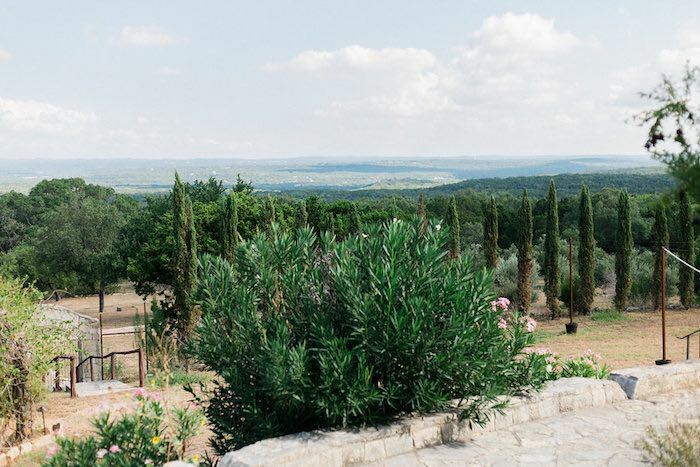 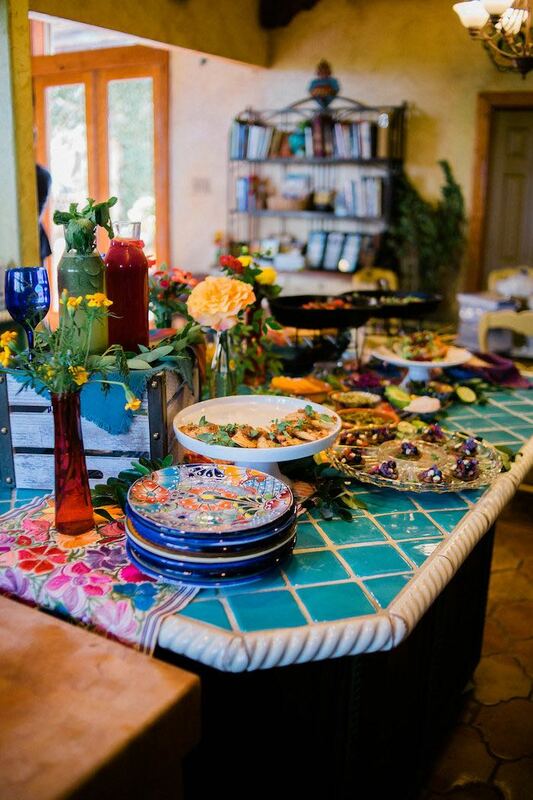 Events and Design, out of Fischer, Texas! 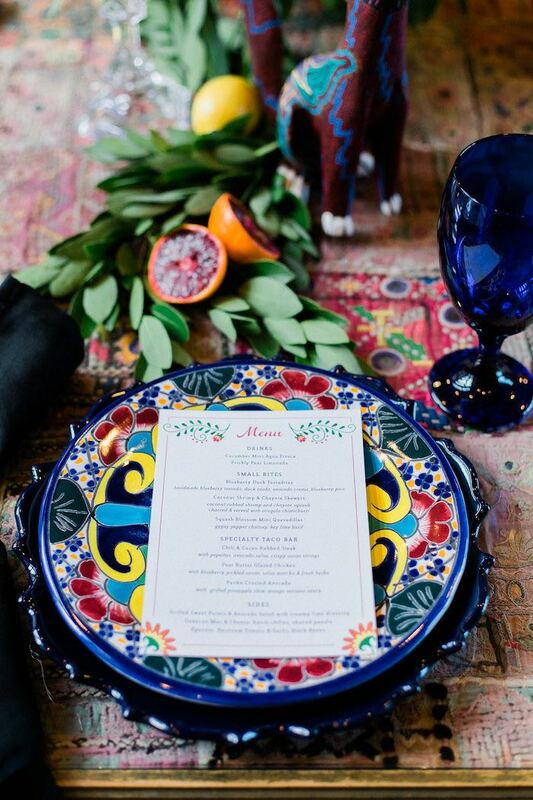 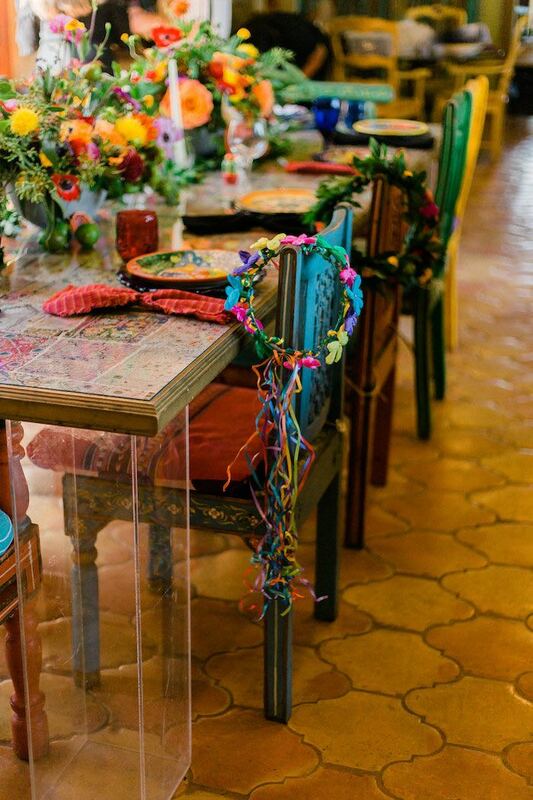 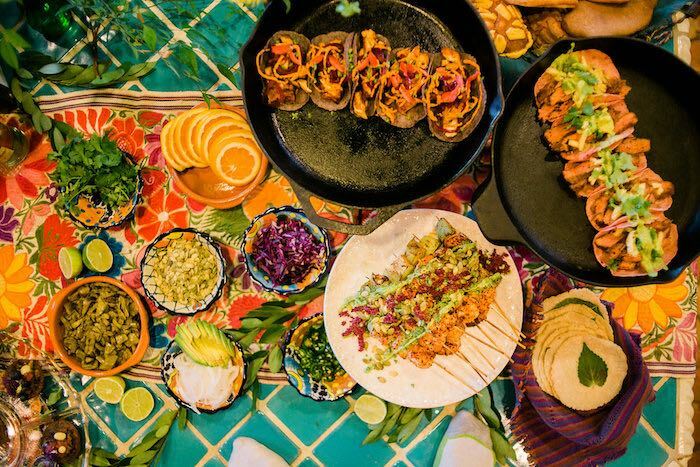 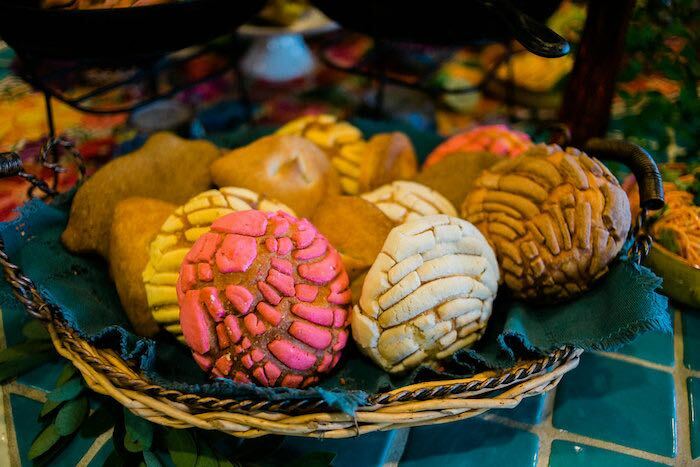 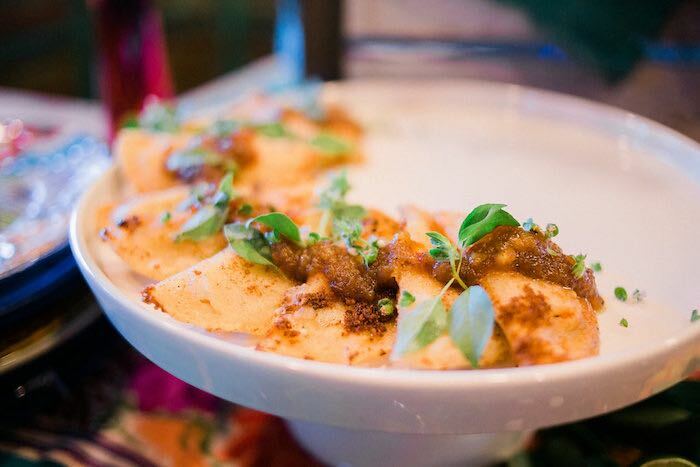 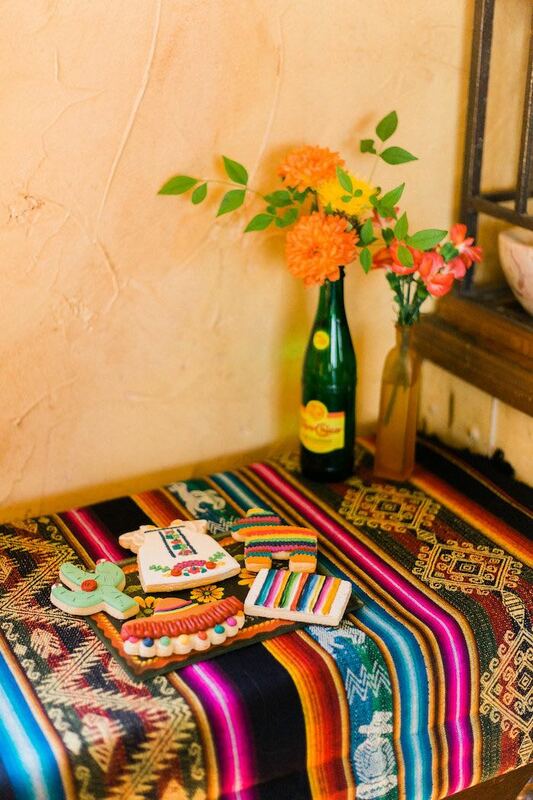 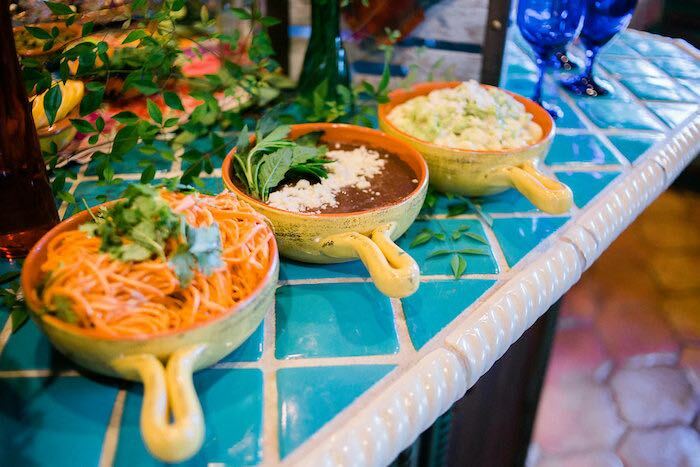 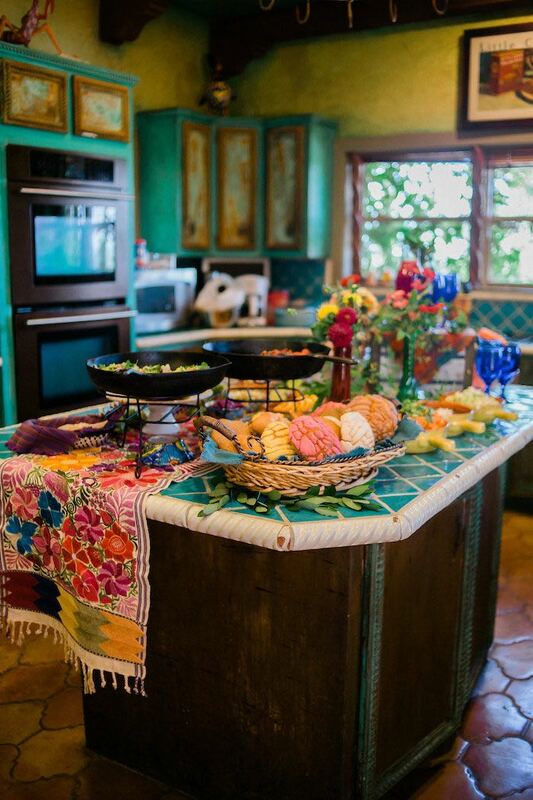 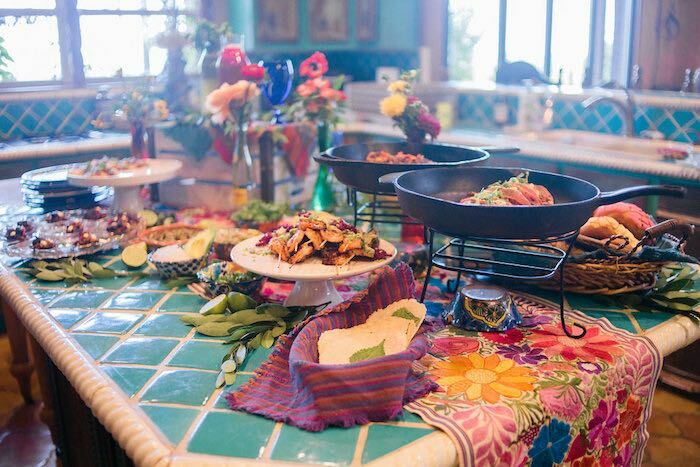 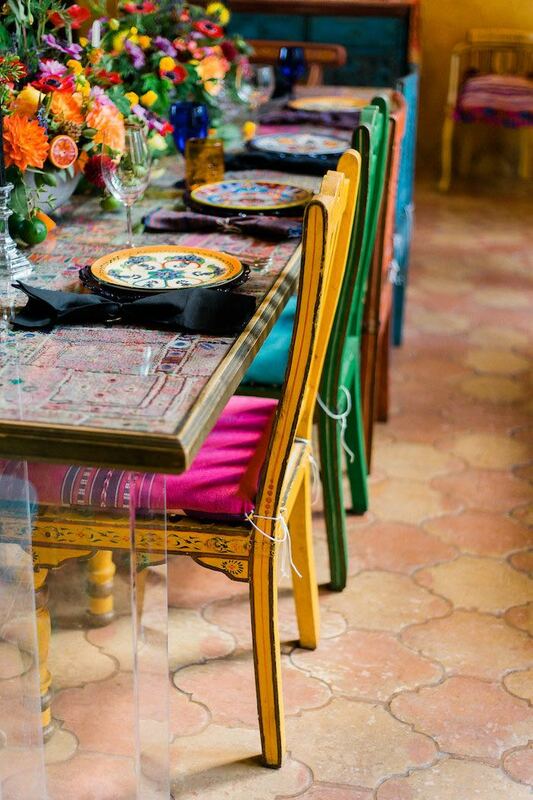 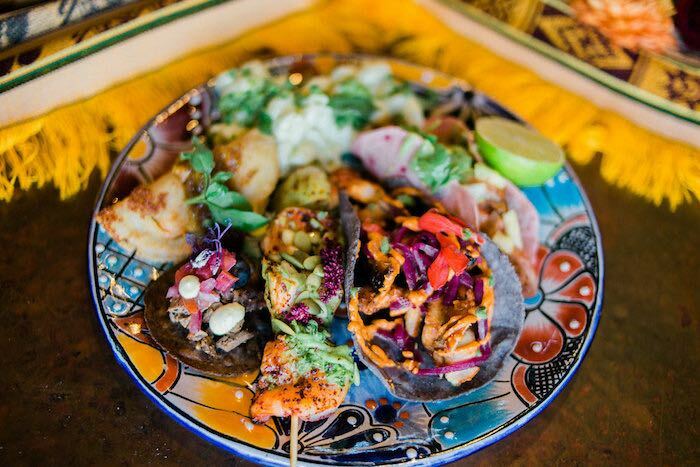 …From the authentic Mexican food to the beautiful decor, this celebration is one to swoon over and adore! 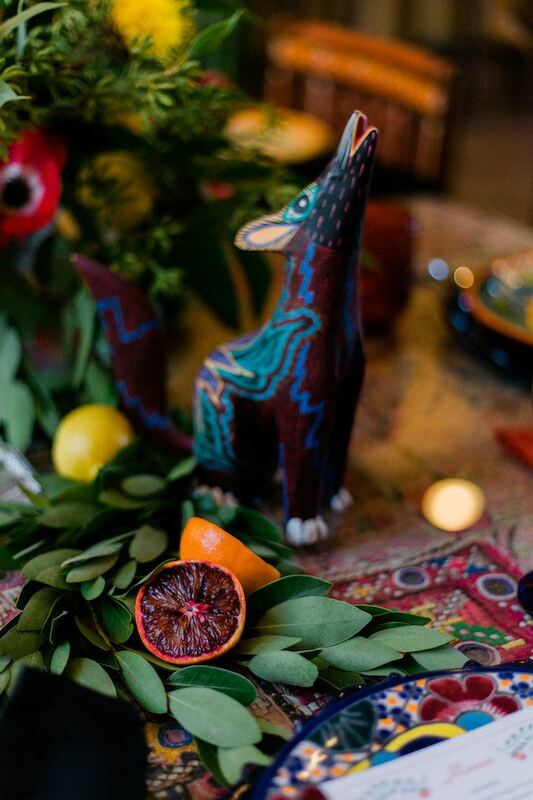 “Behind the Scenes: This theme was inspired by the Mexican folk art sculptures Alebrijes. Alebrijes are mythical creatures some believe to be spirit guides. 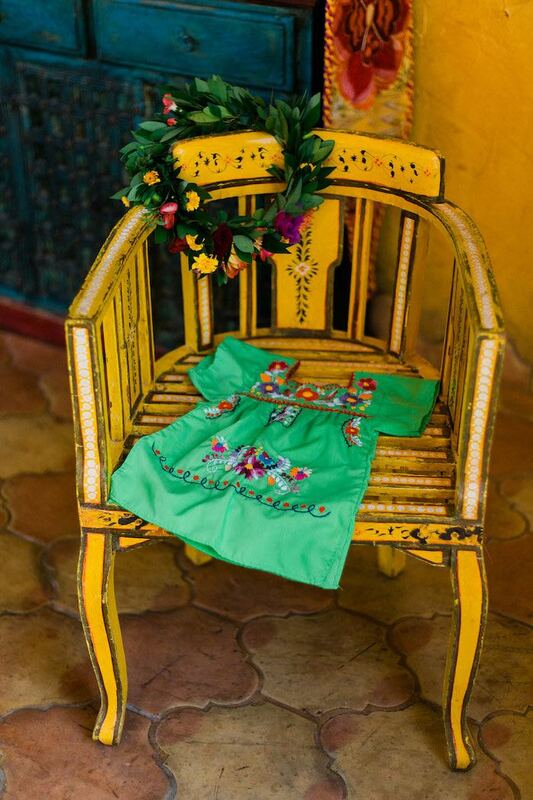 Historically, they are made of wood and hand painted with intricate detail and are very colorful. 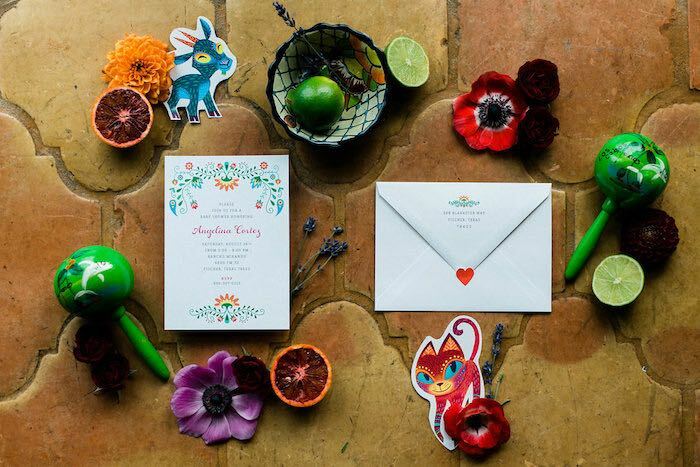 Alebrijes are forms of different animals put together. 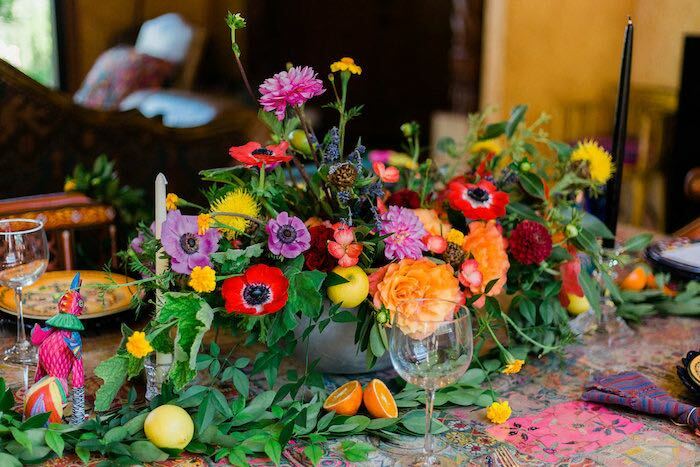 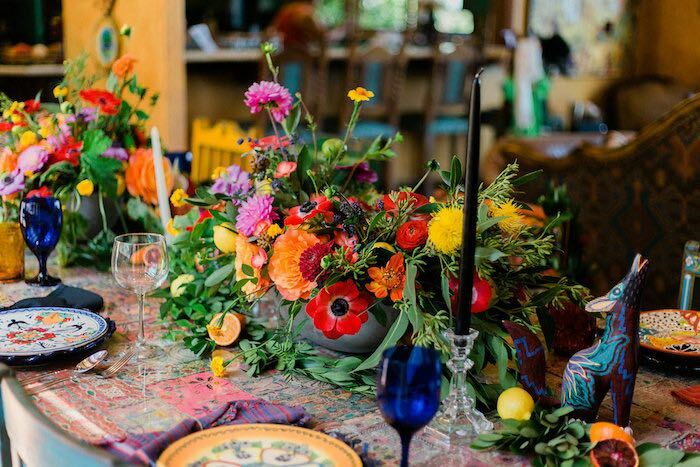 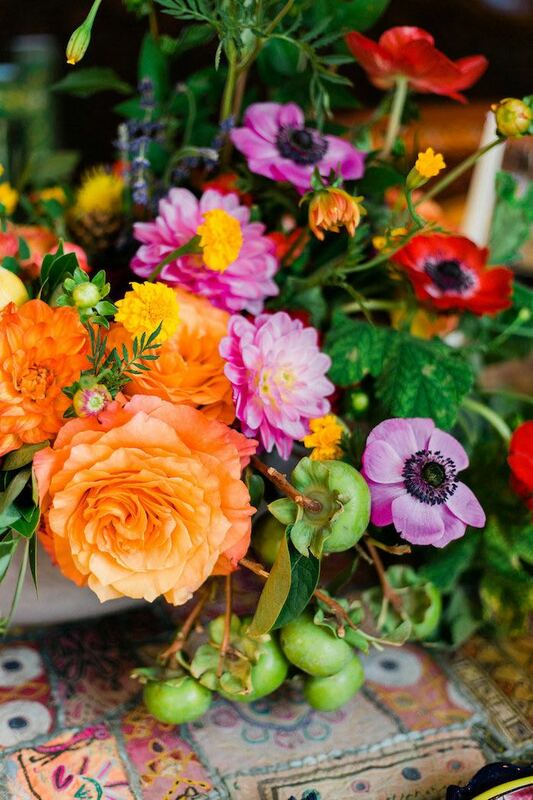 Can you spot them on the tablescape? 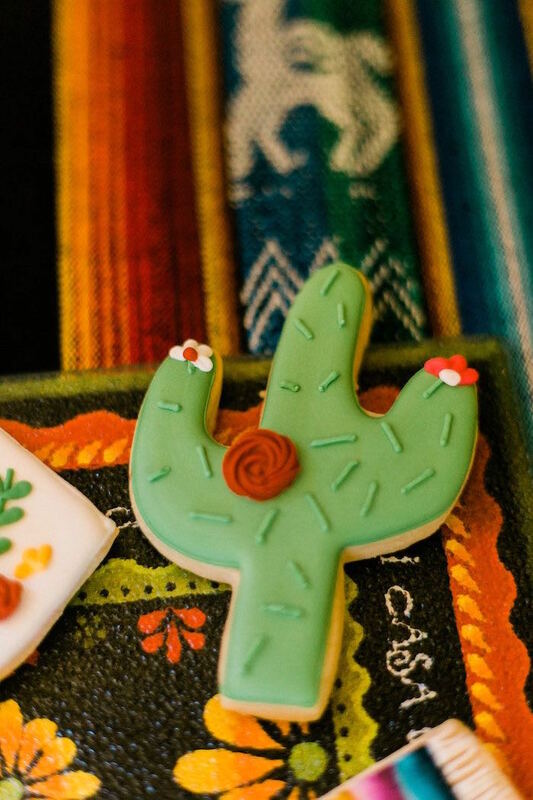 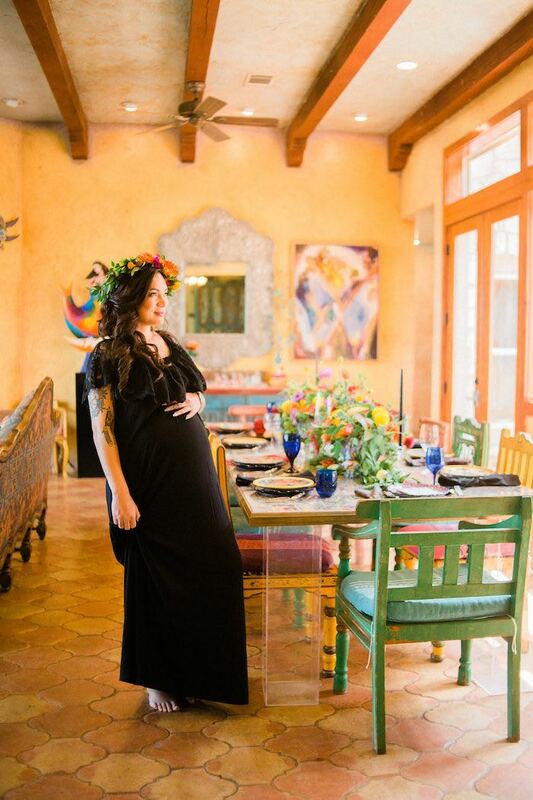 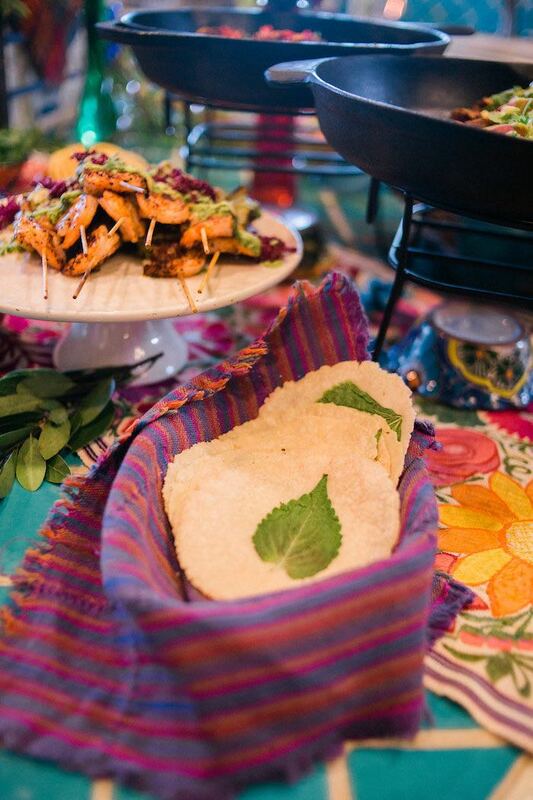 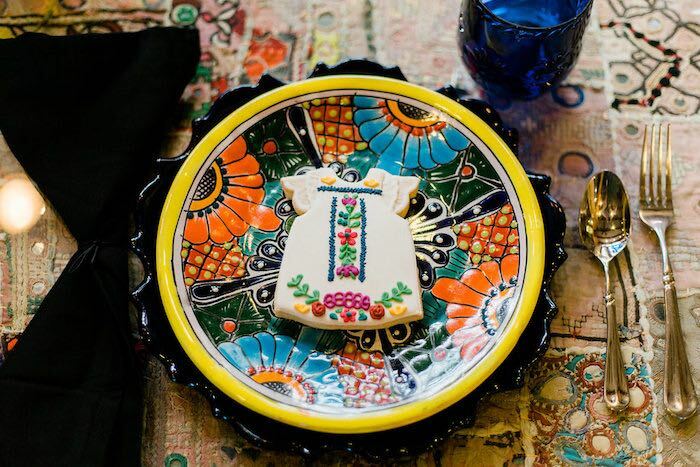 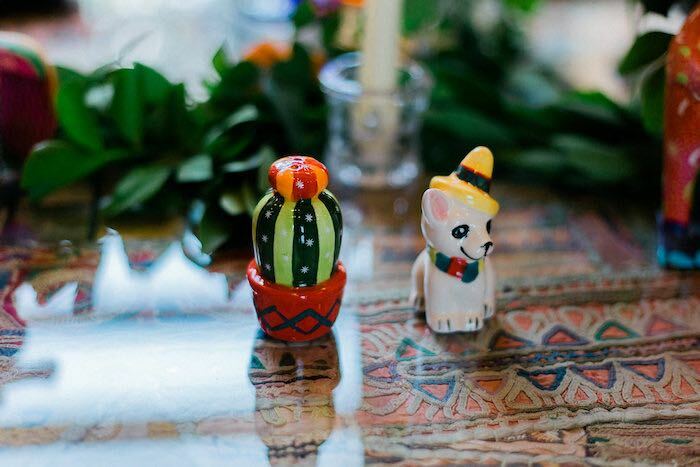 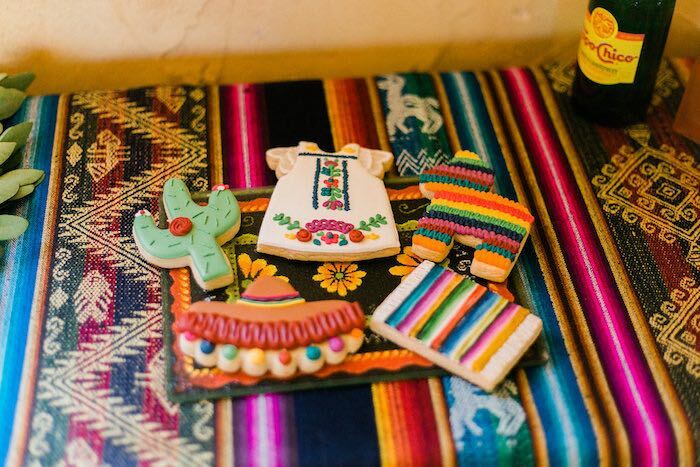 This baby shower styled shoot brings attention to Mexican culture with a contemporary approach and authentic design. 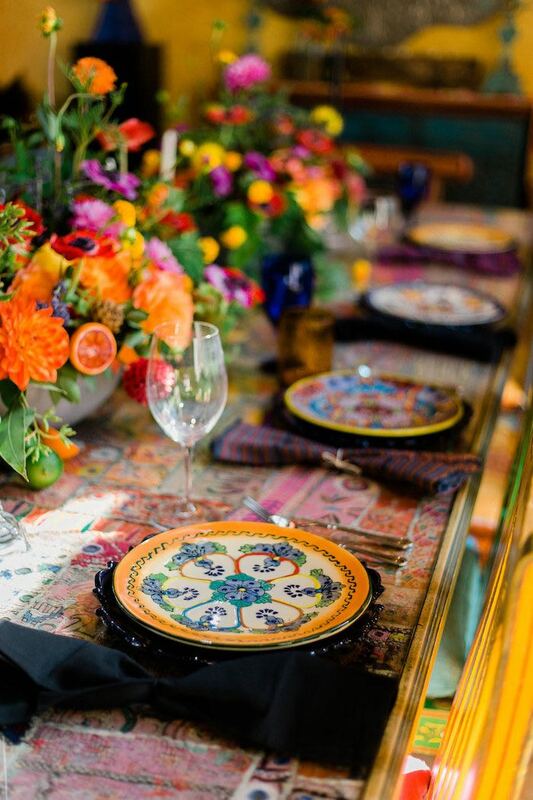 As a heavily Mexican inspired shoot with some Spanish influence, a team of vendors was carefully curated to bring this vision to life. 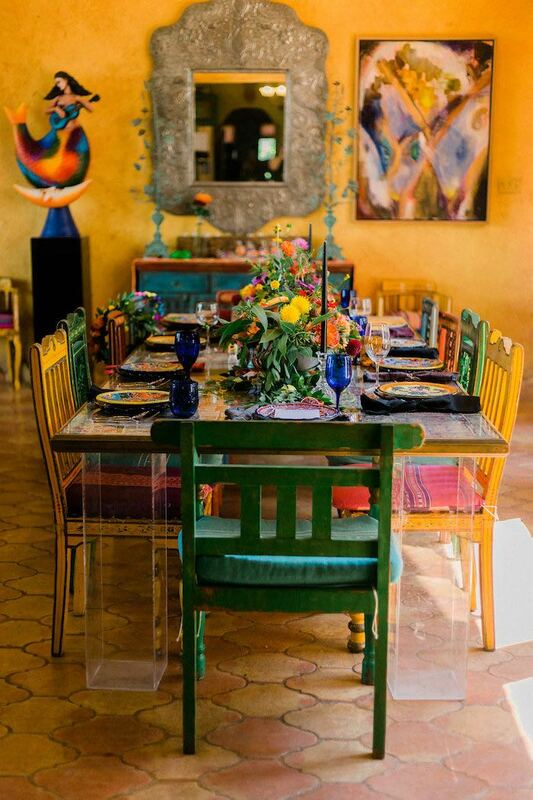 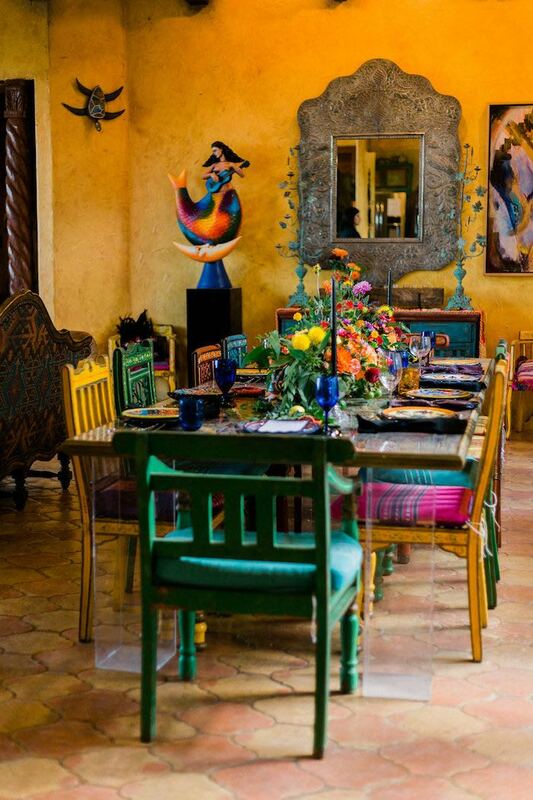 Rancho Mirandos Hacienda set the perfect space for the shoot. 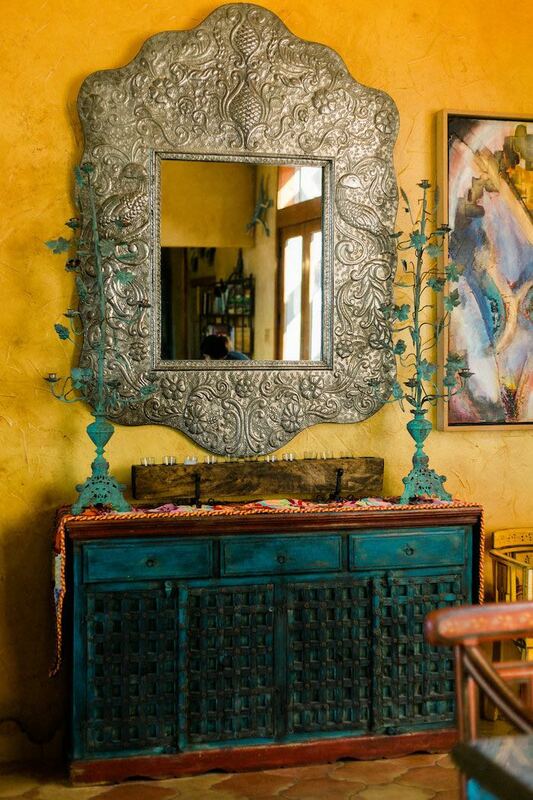 Especially with their Mexican imported furnishings décor and architectural design. 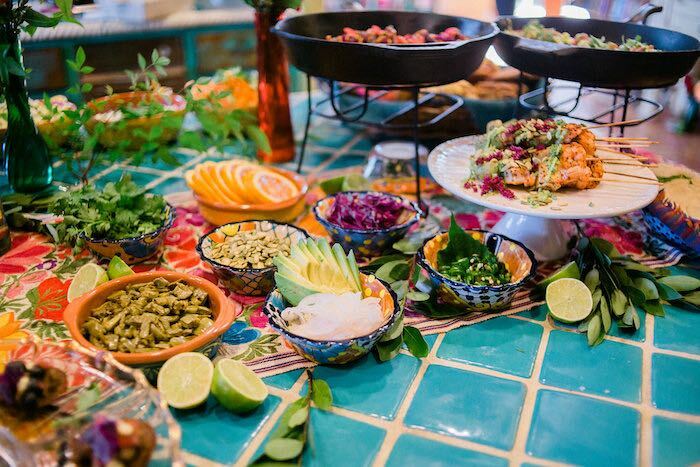 La Pera Catering cooked up unique Latin cuisine. 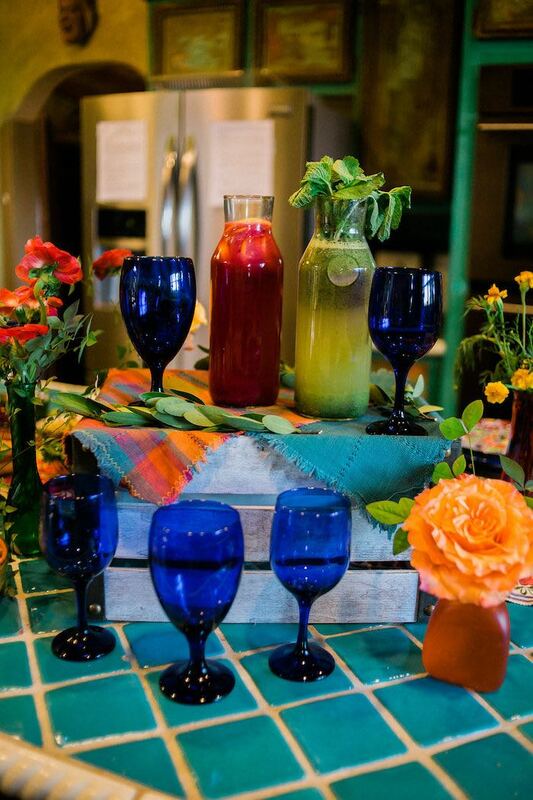 Kitsch Event Styling and Design created beautiful floral arrangements with flowers original to Mexico. 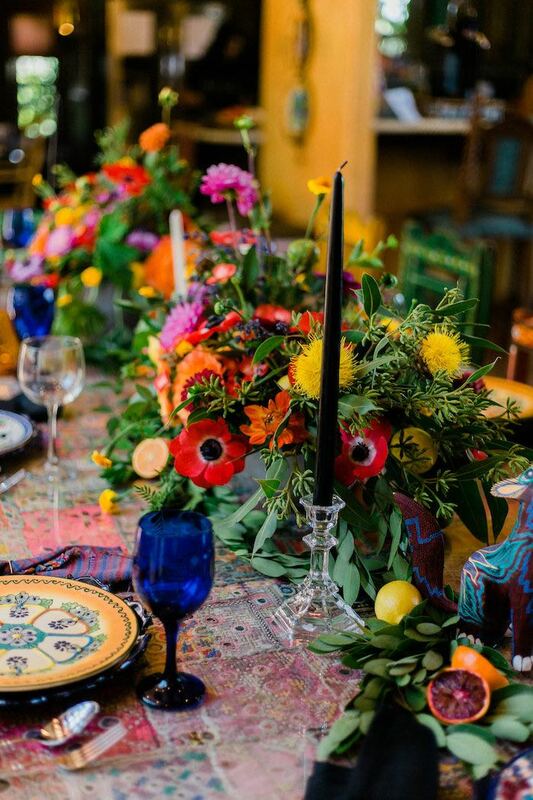 Penelope Lamore Photography captured the rich, true color in the décor with a semi-moody approach. 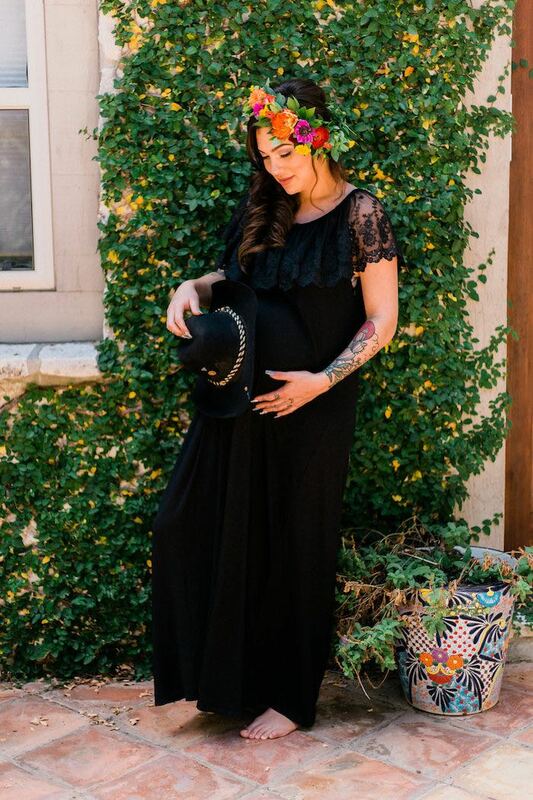 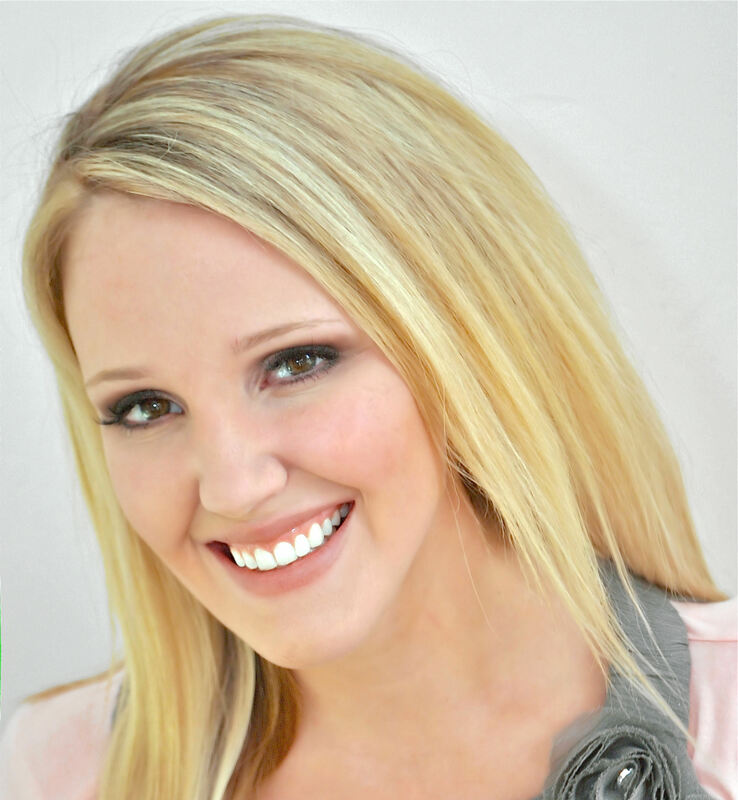 DYE 4 U Hair Salon made our mom-to-be a natural glowing beauty with a modern hairstyle and makeup look. 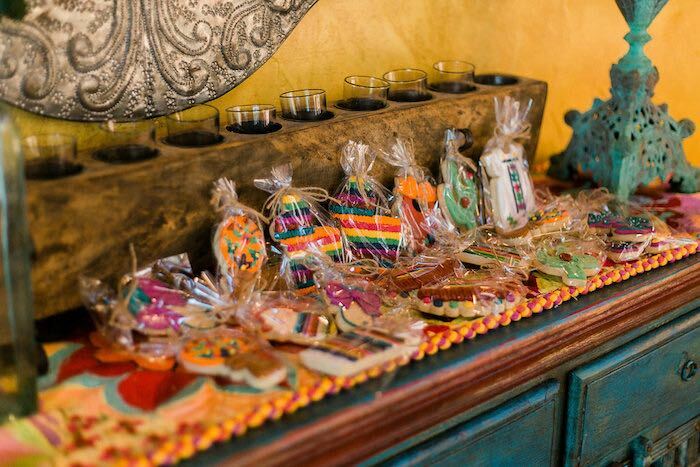 Kims Cookie Jar carefully crafted designer cookies that tasted just as amazing as they looked for this fun and festive event! 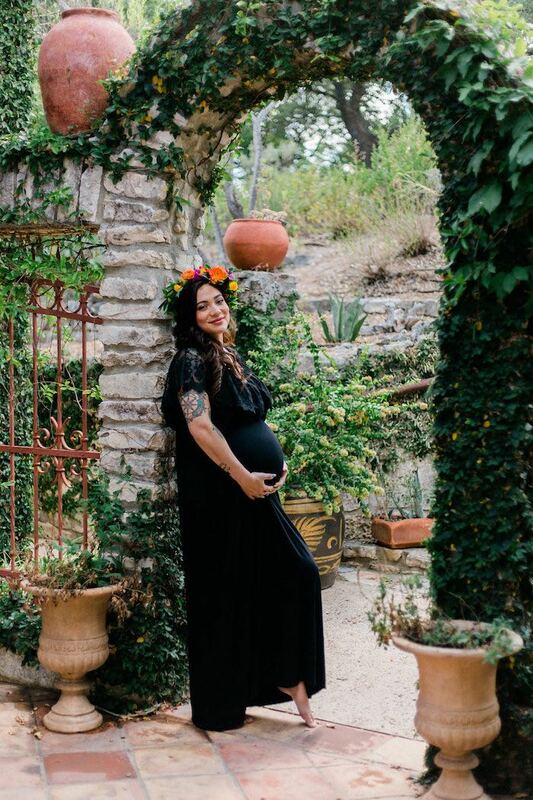 As a mom herself, Planner and Designer, Reyna with R.A.C. 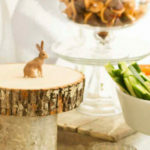 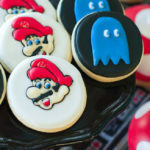 Events and Design wanted to create a fun baby shower for both adults and children to enjoy. 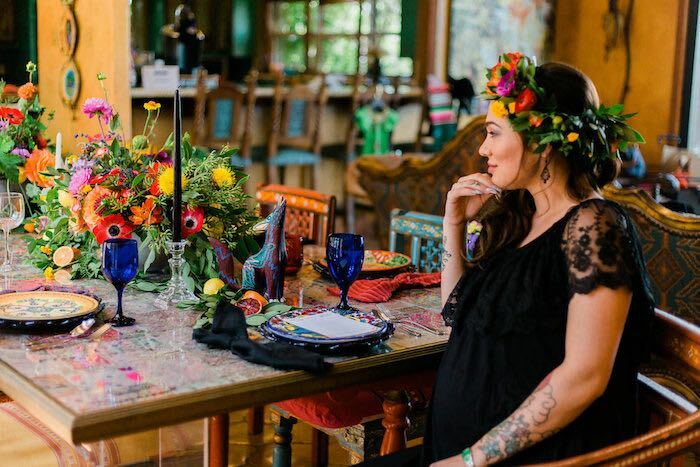 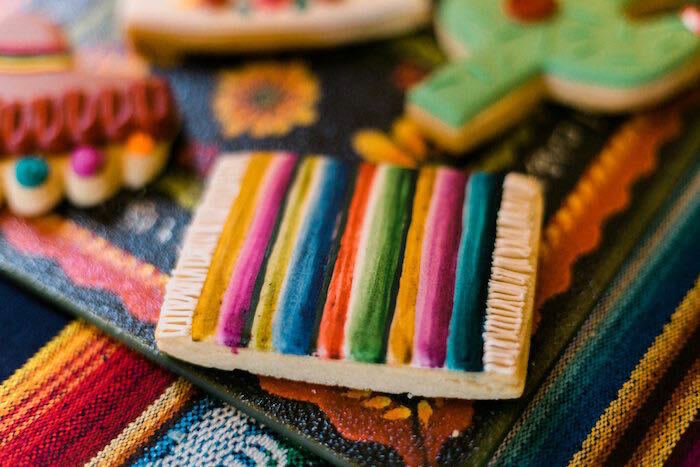 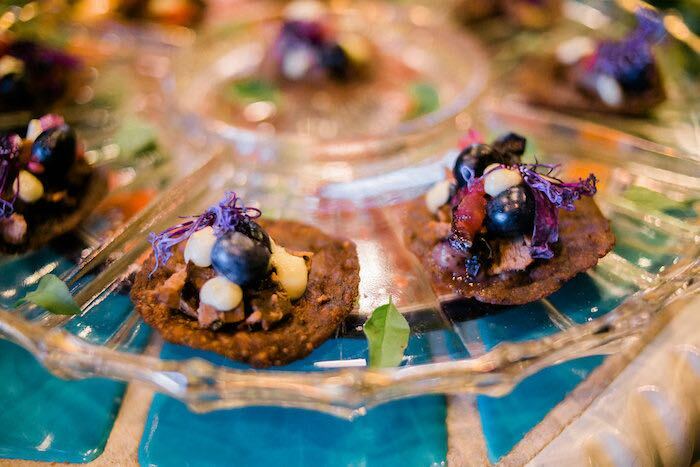 Being of native Mexican culture, she wanted to create something familiar, but contemporary by tying together her love of event design and culture while inspiring others.